Are you curious what your child is texting about? Or do you think your girlfriend is cheating on you? Why not check their text messages in to find out, if you are planning to maybe the iPhone Recovery Stick is what you need. The Recovery Stick is a $200 gadget that can recover deleted text messages from your iPhone. 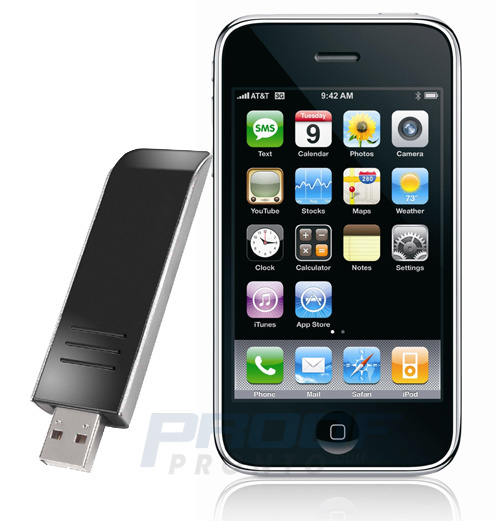 All you need to do is connect your iPhone to your Windows pc, plug in the iPhone Recovery Stick and just wait and let the stick do his work. It will not only recover text messages but also call history, contacts, pictures, movies etc. For some of you this might be a nice gadget, but is it worth the $197,95. For more information take a look at ProofPronto.com. Disgusting tool for disgusting people. I can see so many horrible parents/spouses up to no good with this.